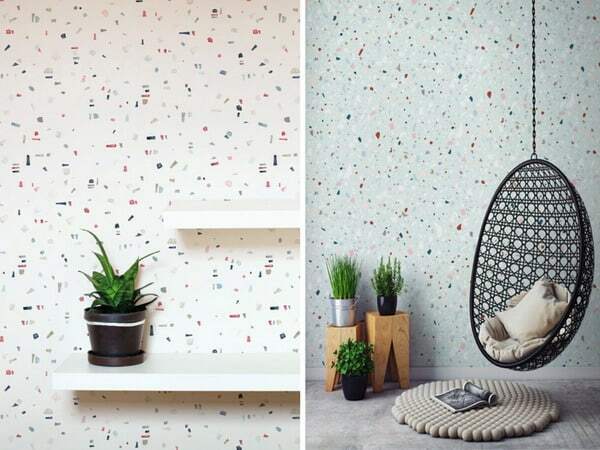 The terrazzo becomes a decor trend and arrives ready to occupy not only floor, but walls and even accessories. Do you dare to try it? There are tendencies that seem to never come back. But over the years we look back and remember with nostalgia what at one time struck us as horror. That must be what is happening with the terrazzo … Why it’s back in fashion! 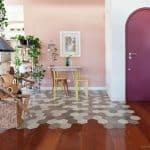 For a long time we have left it out of our decorative lives but now it seems that it returns with the intention of covering everything and not just our floors. Now also dares on all types of surfaces including wallpapers. And even with the accessories that we never imagined that we would see covered in it but that nevertheless are being a boom and we can not say that we do not like them, seeing these photos, do not you think? 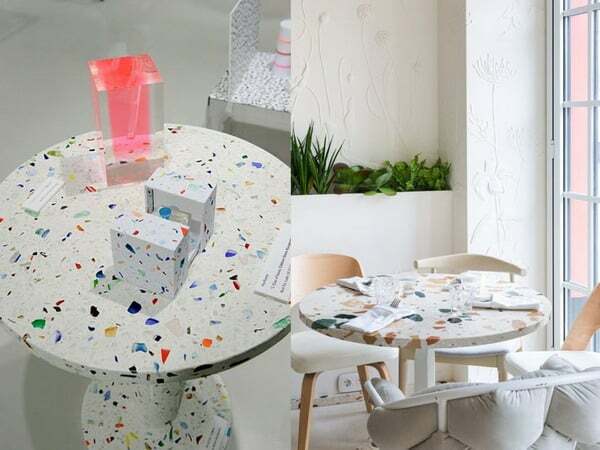 The terrazzo consists of a mixture of pebbles and marble agglomerated with cement, this gives it its characteristic dotted design and makes each one of the pieces different from the others. But now it comes in new colors and combinations that will surprise you. Even decorating wallpapers. Due to its high resistance and economic price it was the most used material for interior pavements during a large part of the 20th century. So we could find it in the majority of housing of official protection, schools, hospitals … although its use already began in the XV century. And its first use was in terraces, hence its name from Latin. It is also a very hard and resistant material very easy to maintain since it does not require special care and has a price that makes it very advantageous compared to materials such as marble that are much more expensive. That meant that its use was extended in public buildings to lower costs. In its design the grain can be fine, medium or thick and currently offers a wide variety of colors that are very colorful and eye-catching. 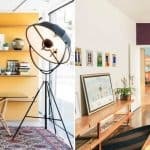 Before the most used were the white, gray or earth tones; But today we are surprised with shades ranging from reds to blues, passing through yellows … There is a lot to choose from! Terrazzo has traditionally been used for floors in areas of high wear because it is also very easy to maintain. But its ability to resist humidity also makes it ideal for bathrooms, kitchens and also for terraces. 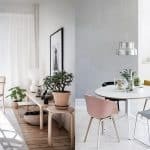 Now, in its new versions, it comes loaded with personality and strength and dares with other types of surfaces such as kitchen countertops or bathroom walls. Originality at the service of our home. In addition to the benefits in terms of strength and durability, it is also much cheaper than materials such as marble. In the bathroom we can use them to cover all surfaces from floors to walls. The fine grain terrazzo is very similar to marble and will help us create spacious and relaxing spaces especially if we opt for light colors. These results guarantee it! Or we can choose to surprise him, using the new designs and colors that come to impact and create very special spaces in bathrooms and kitchens. 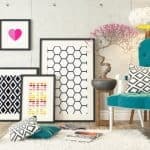 We have fallen in love with these original and colorful ideas that will not leave anyone indifferent. 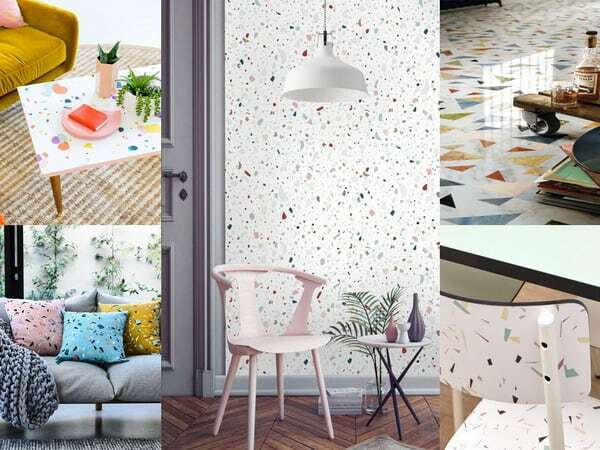 Yes, if you like the effect of terrazzo but do not want to complicate your life installing tiles of this material on your walls … you can choose the option of wallpaper that is so decorative. We find it in all colors and combinations imaginable so it will be easy to find the perfect one for the environment you want to redecorate. As much for salons as for studios or children’s rooms … the idea we love! And we can also find it in versions with the finest or largest grain and also in a multitude of colors and combinations so you will surely find the ideal for that area that was a bit boring. Safe bet! 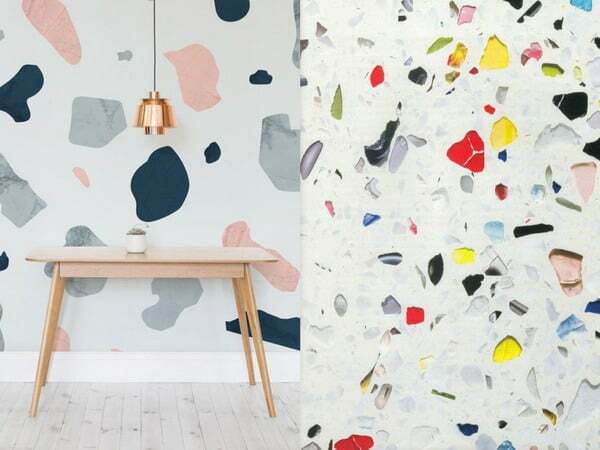 Well, the love for the terrazzo is not left alone in walls and floors … now it also conquers all kinds of accessories. From tables or side tables with finishes as fun and colorful as the ones shown below. His influence also reaches chairs and stools but also lamps, shelves, benches and whatever is put in front …. It seems that there is no limit to the surfaces that we can decorate with this type of pattern inspired by the terrazzo. 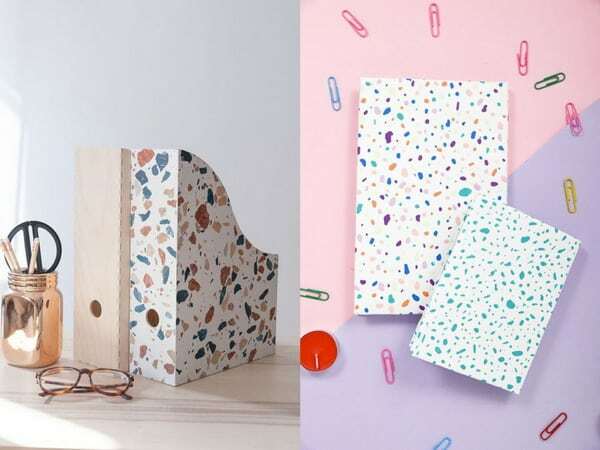 But it also sneaks into everyday objects such as plates, glasses, vases, small decorative elements … All of them appear stained with the characteristic color grains that form the terrazzo and you have them in all kinds of combinations to choose from. If you like the idea, nothing easier. You will find many DIYs to fill small objects with decorative terrazzo colors. From notebooks to folders, filing cabinets … or whatever your imagination dictates. Here we leave you these two DIY ideas in case you want to try it now. 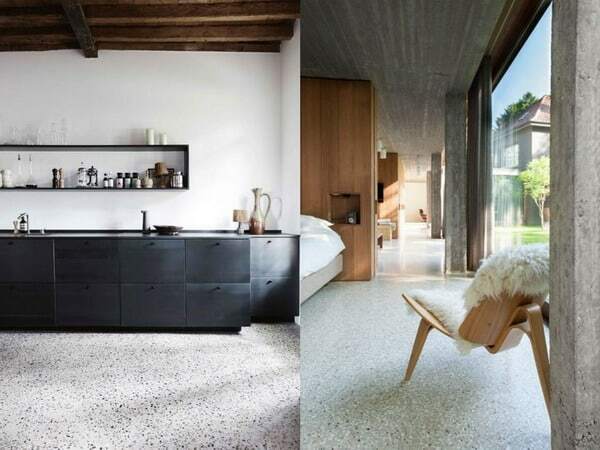 You can see more ideas and inspiration on my Pinterest page about Terrazzo, do not miss it! What do you think about this Terrazzo rebirth that we are living? 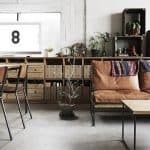 A material that all life has been considered ugly and second but now happens to shine again with designs that, we must admit, we are attracted and tempted to include it in our home. And you dare to try it? What is the idea that most seduces you? I’m looking forward to reading your ideas and opinions, just in case I think I’ll start with some doses in supplements and we’ll see what happens. Happy week!! !